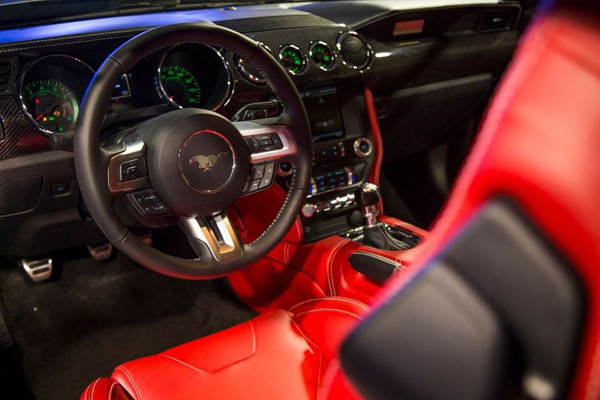 At this year’s LA Auto Show it wasn’t Ford who delivered the ultimate Mustang — it was their biggest dealership. 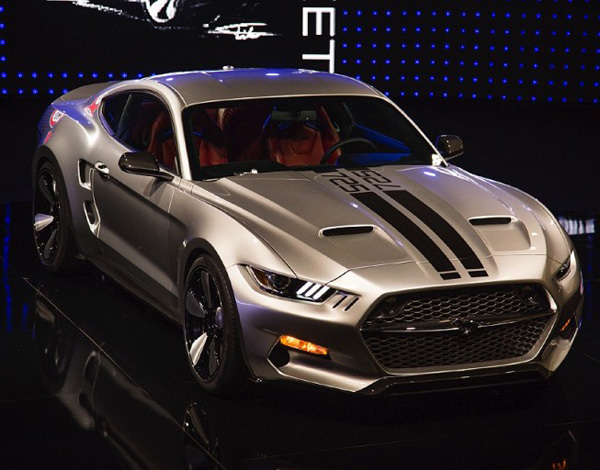 Just three days after their reveal of the much hyped high-performance GT350 Mustang with “over 500” horsepower, Galpin Motors steals Ford’s thunder with a supercharged drag-strip monster, The Rocket. When the schedule for the 2014 LA Auto Show was announced, and a reveal featuring designer Henrik Fisker — the man behind the gorgeous Fisker Karma — and Galpin Motors — the world’s largest Ford dealership — was on the slate, eyebrows raised the world over. Enthusiasts’ ears perked; lovers of beautiful styling rubbed their collective chins. 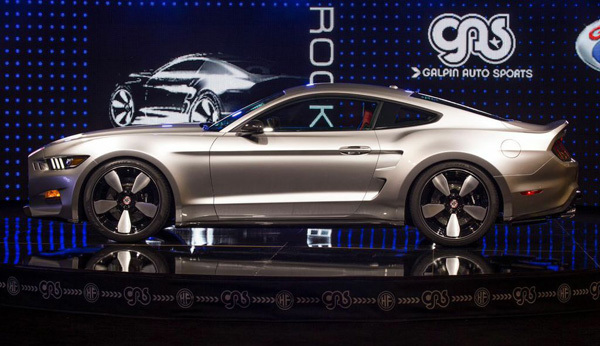 After all, Galpin isn’t just any dealership. This is an auto group, under the Galpin Auto Sports moniker, that modified a limited run of Ford GTs. Crackling with 1,056-horsepower, the Galpin GTR-1 was not only a terrifying machine of ungodly power, it generated enough noise to shut down airports and send children to therapy. So for those in the know, the LA Auto Show announcement was rife with possibility. This morning, deep in the Los Angeles Convention Center, Henrik Fisker stood on a stage in the Concourse Hall and pulled the sheets back on a car he called “the Ultimate American Muscle Car”: the Rocket. As the man behind such timeless vehicles of beauty as the BMW Z8 and Aston Martin DB9, Fisker was eager to get his hands on the 6th generation Mustang. The Rocket keeps most of the car’s lines, but adds bucketloads of swagger to a body completely rebuilt with handcrafted carbon fiber. The sculpted hood features two huge air intakes to cool the hot-running V8, while two rear scoops keep the massive 15-inch Brembo Grand Turismo brakes from melting on the track. A front splitter, rear spoiler and aero skirts add downforce. Flared fenders house the 21-inch wheels wrapped in Pirelli P-Zero high performance tires. 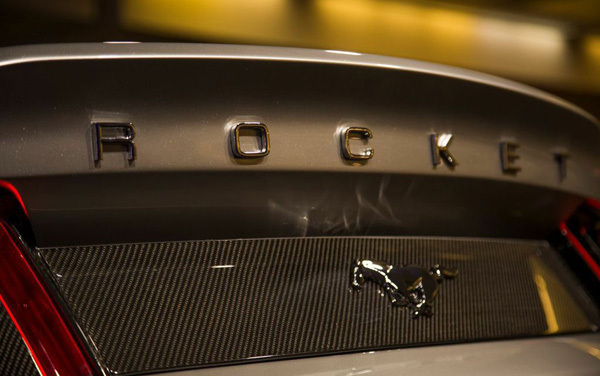 But the most compelling styling element on the Rocket is its hexagonal carbon fiber grill. Dissected horizontally by a polished aluminum bar with signature sprinting pony, the grill pays respect to the 1960’s Mustangs which were the muscle car’s inspiration. The Rocket also features adjustable coil-over suspension, allowing the driver to transform the pony car from tepid daily driver to racetrack devourer. Utilizing a Whipple supercharger, Galpin boosts the Mustang’s 5.0-liter V8 to 725-horsepower — that’s more than the Lamborghini Aventador, and even more than the much-hyped Challenger Hellcat [LINK: ]. While the exterior is painted in a shimmering custom mixed Éminence Grise silver, the interior was completely re-skinned in supple cherry red premium leather. 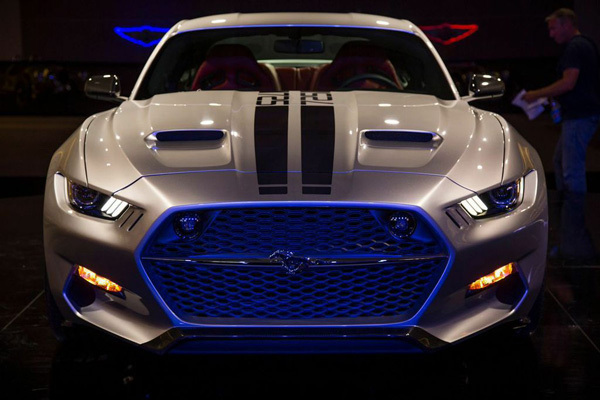 Since the low-volume Rocket will be built to order by Galpin Auto Sports, however, a cornucopia of customization options are available. For the Rocket on display at the LA Auto Show, the pricetag hovers just over $100,000.